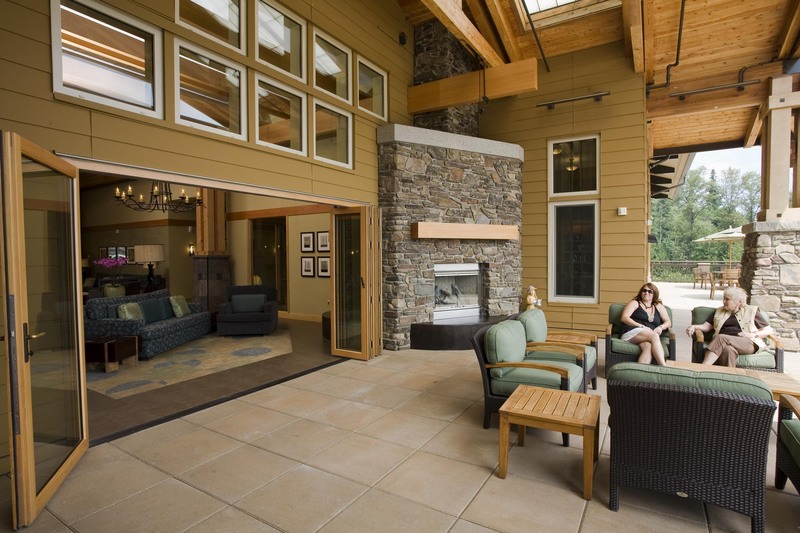 Situated between Sammamish Lake and the Cascade Mountains, Timber Ridge at Talus in Issaquah, Washington, is a spectacular senior-living community. The facility promotes a dynamic lifestyle in a comfortable and casual environment. Rice Fergus Miller Architecture & Planning, a leader in institutional and civic building design, conceived a solution that looks more like the Crater Lake Lodge than a retirement home. One of many spectacular features for residents is the lobby room. It has a 30-foot ceiling and a rustic fireplace with the same mortared stone found on the columns outside the building. 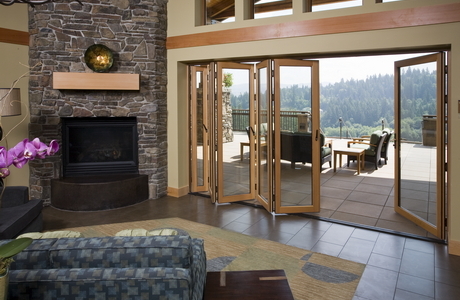 Most prominently, a wood- and aluminum-framed NanaWall installation creates connections between the indoors and outdoors – selected for its materials and “high-quality hardware,” says a project designer. 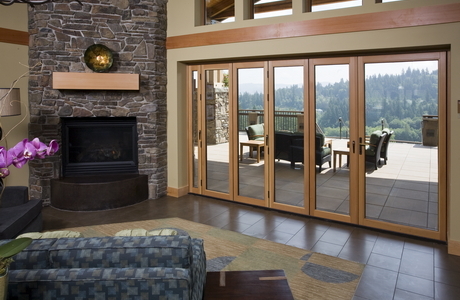 The NanaWall Wood Framed Folding System WD65 with a center pivot unfolds to an enormous terrace with an A-framed roof and sublime views of Cougar and Squak Mountains. The wood trim on the inside of the glass doors harmonizes with the fir finishes found throughout the exterior and interior spaces. The NanaWall opening glass wall also provides residents open views and natural daylight, indispensable in the Pacific Northwest – and proven in evidence-based design (EBD) studies to be vital to the health and outlook of residents in a senior community. 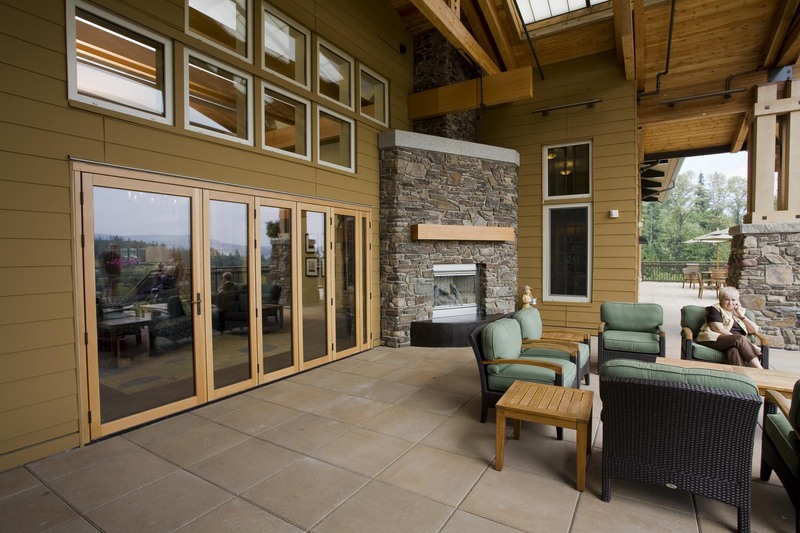 Moreover, the top-hung glass panels provide excellent sound attenuation, separating any festivities on the terrace from activities in the lobby. Once opened, the lobby becomes part of the terrace, with interior and exterior spaces that share many attributes. 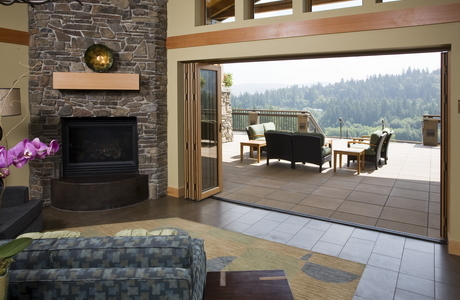 For example, the fireplace on the inside is duplicated on the opposite side of the wall. The terrace faces west, so residents can view beautiful sunsets whether the NanaWalls are opened or closed. 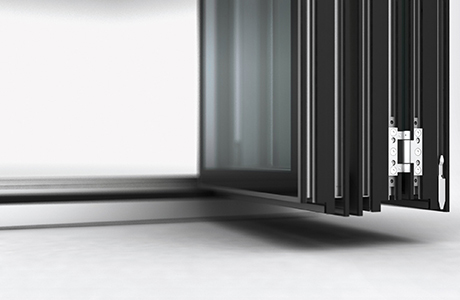 One of the salient attributes of the WD65 NanaWall is the flexibility it provides. 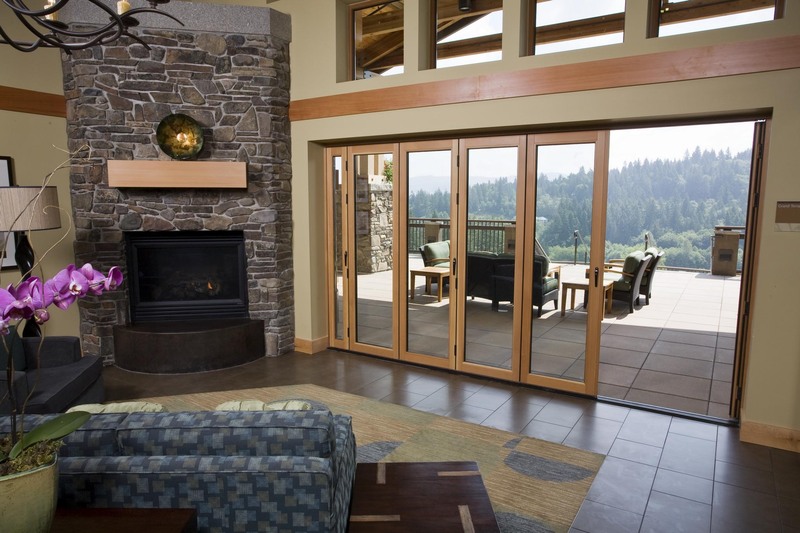 Each panel can be designed up to 43 inches wide, and unlimited pairings are possible. 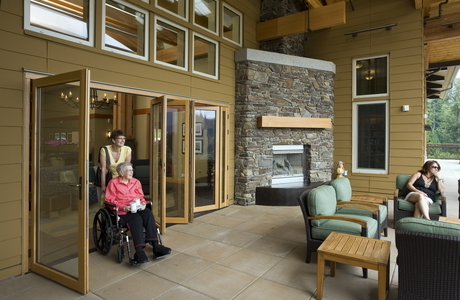 Timber Ridge at Talus utilizes this flexibility: When the wall is closed, residents can still access the terrace with wheel-chair accessible door to the right. It opens separately from the rest of the units.